Accessed via secluded Wiltshire country lanes and nestled in its own private grounds, Syrencot has recently been launched as a contemporary wedding farmshed, historic walled garden and house. 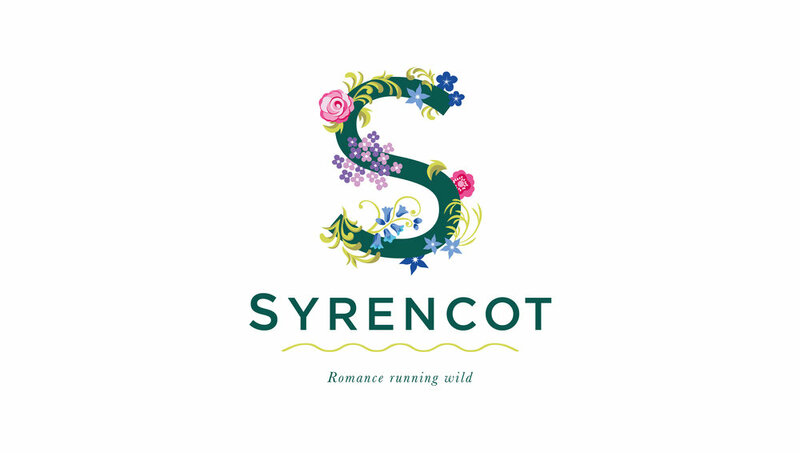 Taking our lead from the brand positioning and brand cornerstones we’d developed we designed a brandmarque which encapsulates the magical and romantic nature of the garden - Syrencot’s most distinctive feature. The marque’s floral elements were chosen from the landscape designer’s planting scheme, and particular care was taken to select flowers associated with romance and which represented the different seasons. Emily Wilkinson at Lemonade Studio illustrated the floral elements of the branding. “There’s something very special about Syrencot’s walled garden and although we explored a number of different concepts, including the house’s particular military history, we always came back to the splendour and delight of the garden”, Giles Calver, Planning Director. In addition to the brandmarque a monogram was also created for selective use on items like social media and signage. This monogram can be used on its own or accompanied by the wordmarque and strapline. The wordmarque’s accompanying wavy line represents the crinkle crankle perimeter cob wall which is such a distinctive feature of the garden. Concurrent with the branding work, our Architecture and Interiors Team was commissioned to design the interiors of Syrencot’s Georgian House, together with a new Victorian style green house in the walled garden (to be used for wedding ceremonies) and a new barn (to be used for wedding receptions). Working alongside Lewandowski Architects, our team created a series of signature features which will help define the Syrencot experience. These include a ‘fire table’ adjacent to the new bar, billowing roof drapes behind the pitched glass in the reception greenhouse, and a sumptuous bridal preparation room in the house’s old billiard room. In the words of Mick Nash, Managing Director, “The branding makes the garden the centre of everything at Syrencot and we took our lead from this. Our aim was to make three potentially disparate building styles work as a single guest experience. So, instead of creating a universal style, we allowed each building to play a supporting role to the garden, with each of the trio of interior experiences dramatising their points of difference to great effect”. Our Interiors and Architecture Team was responsible for the space planning of the house, the greenhouse (named The Glasshouse), the front and back-of-house areas of the new barn-type building (named The Farmshed) and an outdoor kitchen and dining area based around the garden’s old pump house. 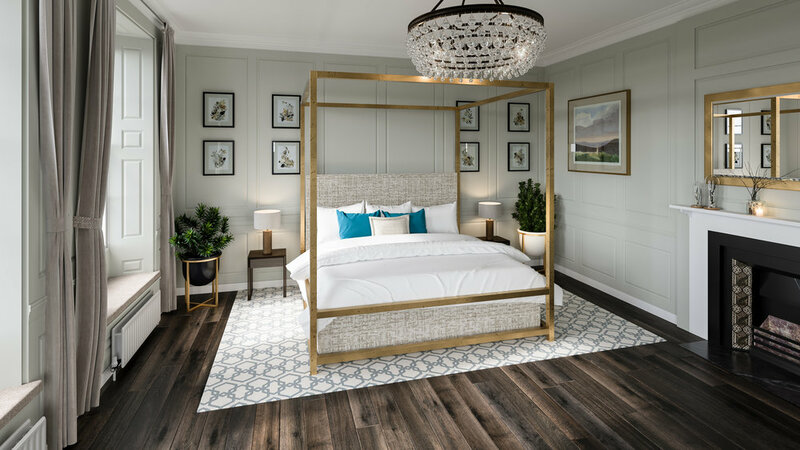 It also created the ‘look and feel’ for all of these areas, produced design elevations and detailed specifications, selected and sourced the FF&E elements and designed the lighting schemes for all four. Construction at Syrencot is well underway, with the venue’s completion date timed for April 2019. Beddlestead’s sister company Country House Wedding Venues has already started marketing the venue. It's had considerable interest from couples captivated by its charms and unique aspects, with bookings for both this and next year.